What actually makes someone an alcoholic? To answer that, I looked at the Merriam Webster Dictionary and it states: “addiction to the consumption of alcoholic drink; alcohol dependency” (1). The keyword is dependency. Do you depend on alcohol in your day to day? If you binge drink, do you depend on that mechanism once a week or fortnight or more to deal with life and its stress? If alcohol wasn’t a potentially destructive substance, it wouldn’t be a problem if you are. 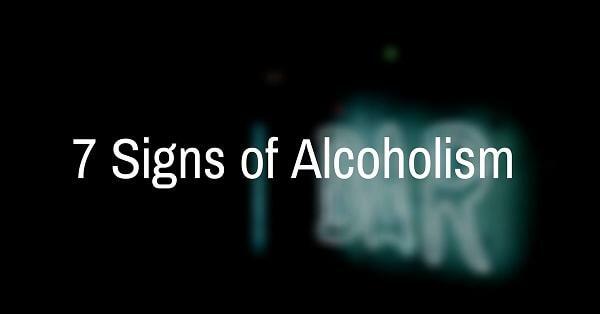 Here are some of the signs, actions and behaviours that may suggest you’re suffering from an alcohol dependency. If some of these appear common to your behaviour, you may like to put in steps to seek help. With respect to changing alcoholic lifestyle patterns, it’s always best to speak to your GP or other medical specialist first. If you would like to explore private alcohol rehab as an option of stopping alcohol and resetting your life, you’re more than welcome to call Barbara and the team here at Refocus to seek advice on (03) 9826 0949. Do You Drink on a Daily Basis? When was the last day you didn’t have a drink? If you can’t remember your last day off from alcohol, it’s probably a sign that something is wrong. If you’re having one or two a day, and you’re able to remain in control, it’s probably not a problem. However, if you can’t moderate or be in control, this is something else. Can You Moderate and Be In Control? Many drinkers will aim to have only one or two drinks for the evening but will end drinking 5, 6, 7 or more. How often have you tried to moderate and be in control and failed? If this is a regular occurrence, and you wish to change, it may be a sign to get some help. Alcohol and its effects on the brain make it much harder to be in control and moderate anyway. When you’ve been experiencing the inability to self moderate, it’s a sign that life would improve if you re-learned this mechanism. It’s one of the reasons why so many people end up at Refocus to seek treatment for alcohol abuse. Many alcoholics say that they consistently feel guilty. Guilt because they’re spending money on alcohol they can’t really afford to purchase. Guilt because they’re neglecting their family responsibilities. Guilt because they’ve caused others hardship? Guilt because they’ve done many things they’re ashamed of doing under the influence. One of the worst feelings is waking up from a big binge drinking session and not remembering the night before. The worry that you may have acted in an embarrassing or even in illegal manner can be extremely debilitating. The problem is, this guilt promotes the cycle of drinking. The more guilt you feel and or create, the more likely you are to attempt to numb it temporarily through alcohol consumption. If this is a common cycle, it may suggest you’re in need of alcoholism treatment. Is Your Partner Breaking Up With You Due to Alcohol? Many alcoholics will have a partner that will often threaten to end the relationship due to the other’s drinking. Do you have a partner that is constantly asking you to stop? Having a partner constantly tell you to stop drinking doesn’t really help you to moderate or stop. In some cases, it can make the situation worse. The increased pressure and guilt will normally only encourage further drinking. It’s certainly not their fault but the potential ending of the relationship due to alcohol may be a reason to encourage you to seek treatment. Do You Find Yourself Making or Creating Reasons to Celebrate or Drink? Many people who have gone through the program at Refocus over the years have remarked that they used to create reasons to drink alcohol. Creating social events in order to drink, or simply putting themselves in situations where it’s socially acceptable to drink are common behavioural patterns of being dependent on alcohol. Do You Have Health Concerns Related to Alcohol Use? Has your Doctor or other medical professional asked you to moderate or stop drinking due to alcohol related illnesses like liver function issues or weight status? If this is the case, it may suggest you’re too dependent on alcohol. If after your doctor has told you to stop and you haven’t been able to, it’s a good sign you’re too dependent on alcohol. Do You Make Drinking the Central Focus of the Day? Do you make drinking the number one activity of the day. The one thing that makes everything else melt away? Do you rely on alcohol to make the day float by? If everything falls around your pursuit to drink, it’s a strong sign something is wrong. We never like to write an article without also talking about the benefits of stopping alcohol completely or of learning to be in control around it, because life could be significantly better without the problems and the dependency of it. We’ve written a much larger article on the subject (that you can read here) but in short, you can expect to experience: Increased energy, increased focus, increased productivity, increased money in your bank account, increase weight loss, among many other benefits. There are multiple reasons to be excited about the prospect of quitting alcohol. It’s natural to be concerned that you may have a dependency, but it’s an opportunity to take your life back and change it for the better. If you’re serious about stopping, please get in touch with your Medical Practitioner. If you’re exploring alcohol rehab, you’re welcome to get in touch with the team here at Refocus on (03) 9826 0949.